Welcome to Clea Shop Shopify theme from Buddhathemes. Regardless of what you are selling, whether you are selling Flood Pants, Bubble Skirt, Dirndl Skirt, Flared Skirt, Skinny Fit, Slim Fit, Straight Fit, Classic Fit or Military Bicycles, Electric Bicycles, Fixed-Gear Bicycles, Cyclocross Bicycles, Clea Shop theme is the perfect fit for you. 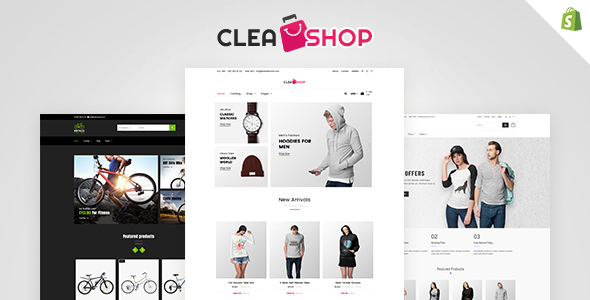 Having developed more than 50+ themes in Shopify platform, we offer our latest Clea Shop e-commerce theme with intuitive features needed for successfully running your online store. Clea Shop comes with wonderful technologies such as Sass CSS, Owl Carousel, FontAwesome, and Animation. Besides, we have included Flex Slider, Product Carousel, Blog Carousel and Ajax Add to Cart functions. It has been designed and developed to display beautifully across all of today’s modern devices including laptops, tablets, smartphones, and of course desktop computers. Shopping cart is the most important aspect of any e-commerce website selling goods and services. Nevertheless, the success rate of the online store is directly proportional to the speed of adding and checking the items in the shopping cart. The ease of the whole buying process is enhanced by Ajax based Shopping Cart. Buying in Clea Shop is effortless and quick because of Ajax add to cart functionality! Clea Shop theme offers you the Color Swatch option with the ability to change the color display on your products just by selecting the color. These color changes on the products happen according to the user selection. Items coming in different color options such as high heels shoes, tees and others in variant colors could well use this feature. Setting filters is easy in Clea Shop theme using the Ajax sidebar. Select filters such as color, brand, type, and category as well as list and dropdown. The selection of filter will display those specific products that suit your store’s needs without having to reload the page. Go for Clea Shop supported by the legendary support team of Buddhathemes.